X2 interface Function in LTE X2 Interface is connection between Two eNodeBs user plane pdus transport network layer X2 User Plane X2 Control Plane target enodeb protocol stack traffic load. The X2 interface is the interface between the eNodeBs. 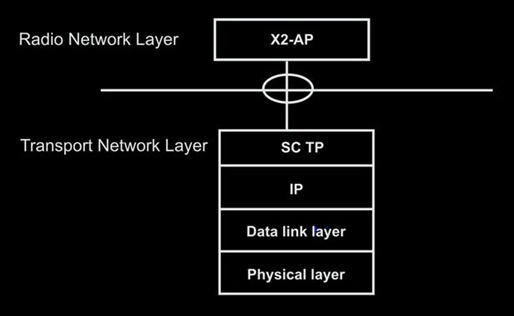 X2 interface protocol stack is described in Figure. The LTE X2-UP protocol tunnels end-user packets between the LTE eNodeBs. The tunneling function supports the identification of packets with the tunnels and packet loss management. X2-UP uses GTP-U over UDP or IP as the transport layer protocol similar to LTE S1-UP protocol. LTE S1-UP and LTE X2-UP use the same U-plane protocol to minimize protocol processing for the eNodeB at the time of data forwarding. The LTE X2 user plane external interface (X2-U) is defined between LTE eNodeBs. The LTE X2-U interface provides non guaranteed delivery of user plane PDUs. The transport network layer is built on IP transport of LTE and GTP-U is used on top of the UDP or IP to carry the user plane PDUs. The X2-UP interface protocol stack is identical to the S1-UP protocol stack. LTE X2-CP has SCTP as the transport layer protocol which is similar to the LTE S1-CP protocol. The load management function allows exchange of overload and traffic load information between LTE eNodeBs to handle traffic load effectively. The handover function enables one eNodeB to handover the UE to another eNodeB. A handover operation requires transfer of information necessary to maintain the LTE RAN services at the new eNodeB. It also requires the establishment and release of the tunnels between source and target eNodeB to allow data forwarding and informs the already prepared target eNodeB for handover cancellations. The LTE X2 control plane external interface (X2-CP) is defined between two-neighbor eNodeBs. The transport network layer is built on SCTP on top of IP. The application layer signaling protocol is referred to as X2-AP (X2 Application Protocol). 26 queries in 0.385 seconds.